Dennis Greene is keen to put his own stamp on Boston Town ahead of the upcoming United Counties League Premier Division campaign. 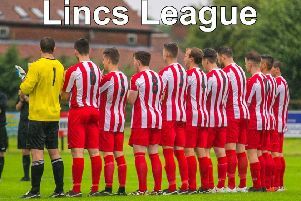 The Poachers have reported back for pre-season training, playing their first warm-up match on Thursday, 3-1 against Wisbech Town and beating King’s Lynn Reserves by the same scoreline on Tuesday. “We’ll have that preparation that we didn’t have last season,” said Greene, who took control of the club during the 2017-18 campaign. “We’ve had a few running sessions and now, in between games, we’ll be working on shape and set-pieces. Greene is still waiting to get his whole squad together due to holiday, work and other commitments. “We’re a bit stretched at the minute, Duran Reynolds is still injured and there are a few others away.” he added. On Saturday Town host Huntingdon Town at the DWB (Ko 3pm). On Tuesday, Louth Town will be the visitors (KO 7.45pm).